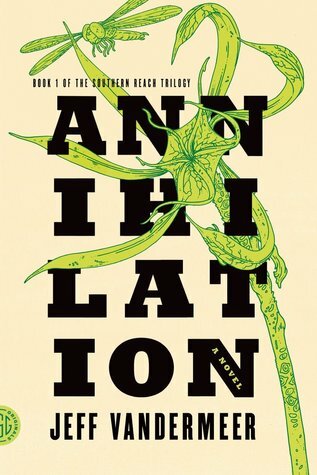 This entry was posted on Tuesday, February 6, 2018 and is filed under Annihilation,Book Review,Female Main Character,Jeff VanderMeer,Sci-fi,Thriller. You can follow any responses to this entry through the RSS 2.0. You can leave a response. I actually really liked this one, but all of my friends who read it did not! I was definitely the odd one out on this one. I liked it, personally, because I love a "baddie" that is really left to the imagination, because my imagination is terrifying. So I found it scary as all hell. I still haven't read the next two but I plan to get them after my next series read. Interesting. The thing that really frustrated me is what made you enjoy it! It does seem to have been either a love or hate reaction from everyone who has read it. It was just too much unknown for my tastes. Ah, I am sorry that this one didn't work out for you :( It sounds like it is written with a lot of potential and if the characterisation and pacing was a bit better it would have been able to make a really good story. Such a shame. Hope your next read is a more enjoyable one for you! I’m enjoying Fierce Kingdom much more. I should have a review up in the next couple of days! Oh, despite it not working for you, this does sound like I might like it. I'll have to take a closer look. Thank you for sharing your thoughts. Don’t let my negative reaction deter you! I’ve read many reviews from readers I trust who loved it.